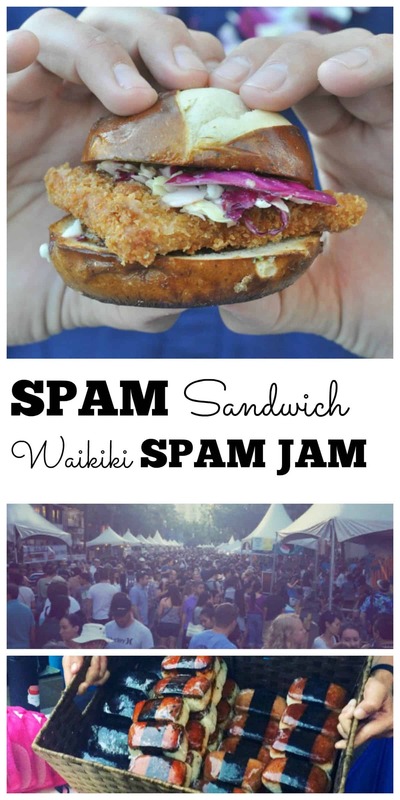 Today I’m sharing an easy recipe for a breaded SPAM sandwich that won the 2015 SPAM Championship recipe contest and all the details about the Waikiki SPAM JAM and how you can enter the 2016 recipe competition. This is a sponsored post. Thank you for supporting the organizations, companies, people and events that I choose to work with, sponsored content grows my blog and supports my family. 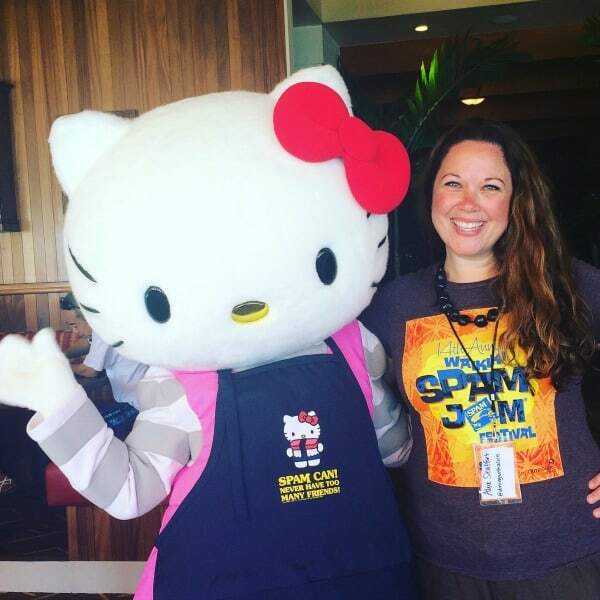 This year, I had an amazing opportunity to attend the Waikiki SPAM JAM. Yes, Waikiki. Hawaii. For more about how I was asked to attend and my SPAM Hawaiian Skillet Dinner, read the post here. 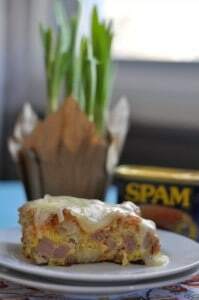 I had the pleasure of meeting Lisa at the Waikiki SPAM JAM and loved chatting with her about how she created this recipe and sharing our mutual love of entering state fair competitions. 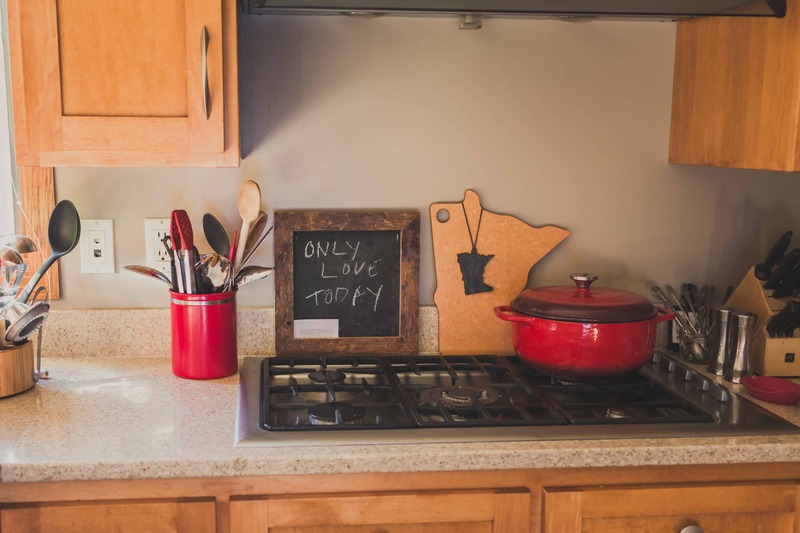 I loved hearing how she gets her children involved in cooking and entering state fair competitions, in fact, her son entered the kids SPAM cooking competition at her fair and that inspired her to give it a shot. 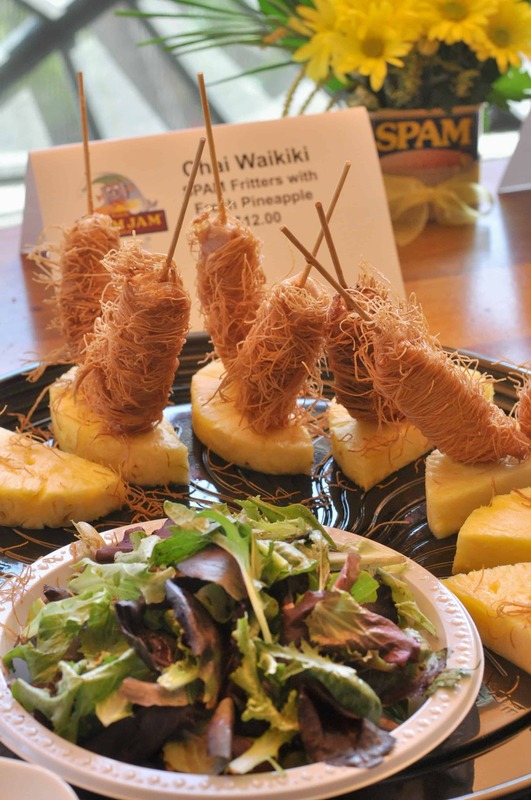 As the winner of the SPAM cooking competition, Lisa and a guest were treated to a trip to Hawaii to attend the Waikiki SPAM JAM. 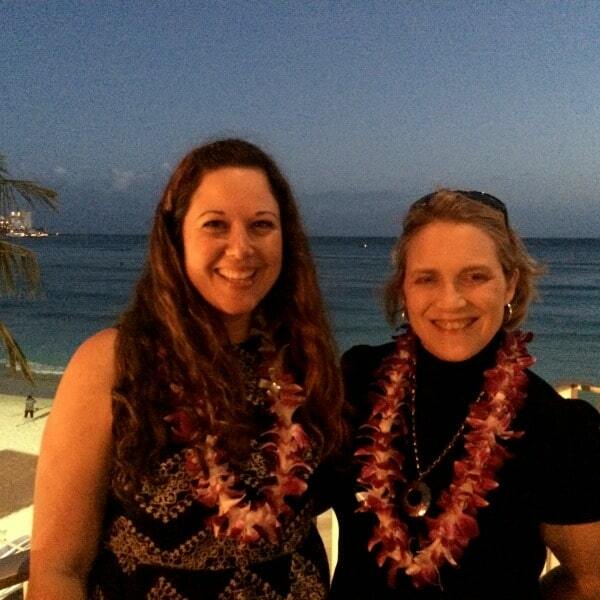 Meeting Lisa was one of my favorite parts of my trip to Hawaii. 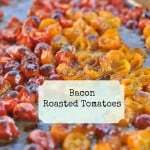 I loved seeing her passion for cooking and the pride she took in creating this recipe. The sandwich has a delicious crunch on the exterior from the panko that is sautéed in oil. The cabbage slaw reminds me of the flavors you’d find in a German Potato Salad: bacon, vinegar balanced with sweetness from sugar. The sweet slaw pairs perfectly with a stone ground spicy mustard (don’t be shy about the mustard according to Lisa) and the pretzel bun is the perfect bun choice to hold up to all the elements of this SPAM sandwich. 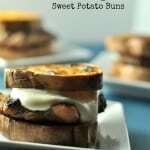 I’m making this recipe on the television show, Twin Cities Live on May 13, 2016. I’ll be sharing a couple variations too. I like making this breaded SPAM sandwich and topping it with fresh mozzarella, chopped basil and tomato sauce on a seasoned ciabatta roll (for the rolls I drizzle with olive oil and Italian seasoning and bake for 8-10 minutes). 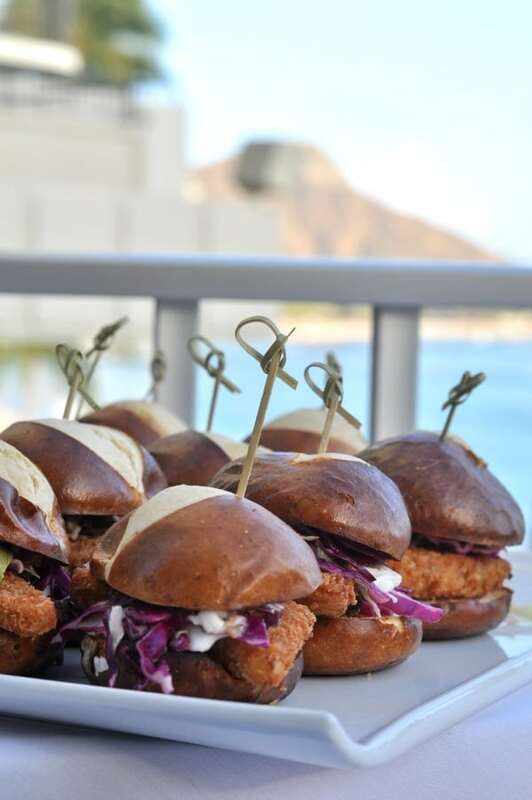 And for the kids, I like adding crushed pineapple to Lisa’s coleslaw, using Poppyseed dressing instead of the mustard and serving it on mini pretzel buns. Okay, now I have to tell you about the Waikiki SPAM JAM. You know I love the Minnesota State Fair so I was beyond excited to check out this food festival celebrating SPAM. 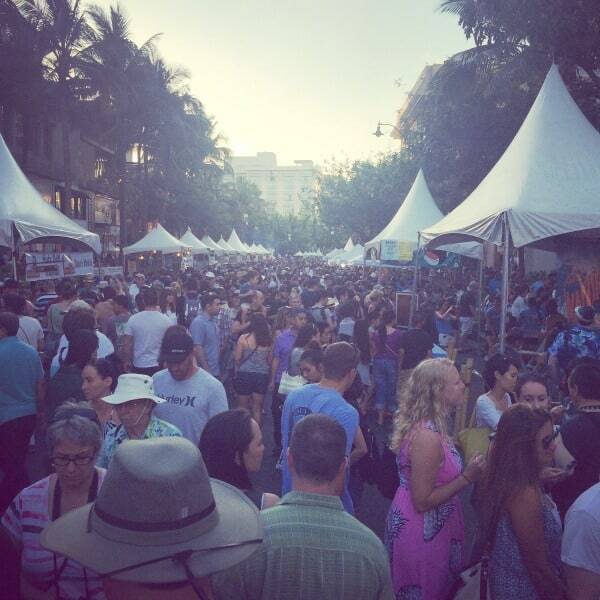 The main road in front of the Outrigger Waikiki Beach Resort is closed down and is filled as far as the eye can see with people eager to try creative spins on SPAM. 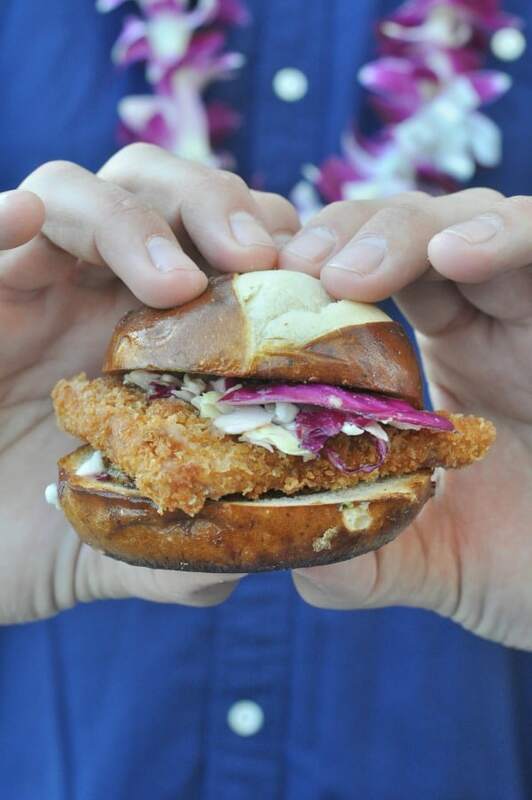 People line up at various stands run by Hawaii’s favorite restaurants and just like the Minnesota State Fair, collect with family and friends to share plates and sample as many bites as possible. 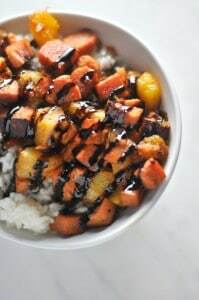 Food choices include everything from the traditional, Musubi (grilled SPAM on rice wrapped in seaweed) to some really fun and exciting dishes you’d never imagine. 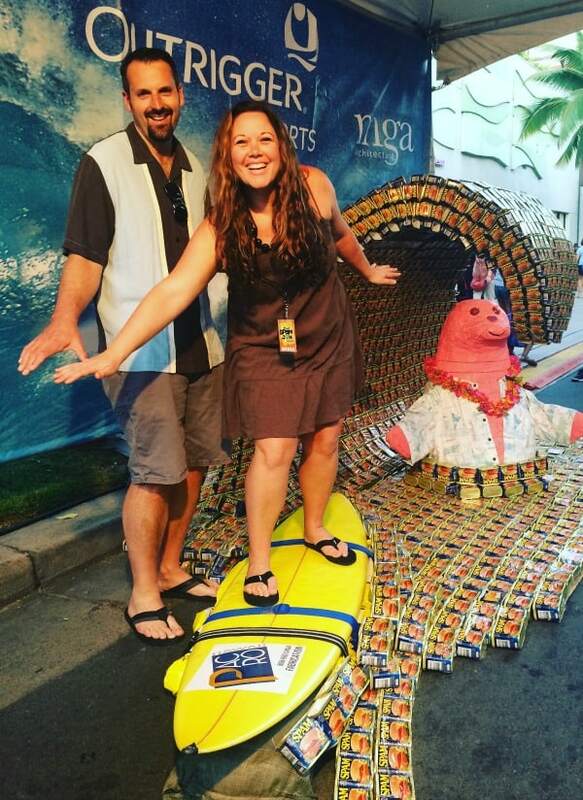 Almost 30,000 people come out for the event and there are fun events like “Hanging Ten” in the SPAM Wave (yes, those are all SPAM cans)! Most important, this event raises money for the Hawaii Food Bank. There are fun character appearances like Hello Kitty! I had to take this picture for my kids. They couldn’t believe I met the REAL Hello Kitty. They think I’m really famous now. 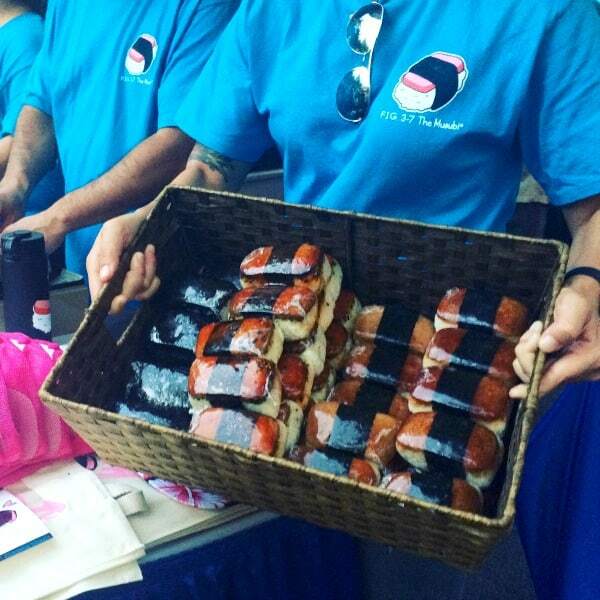 Let’s talk about the food at the Waikiki SPAM JAM. 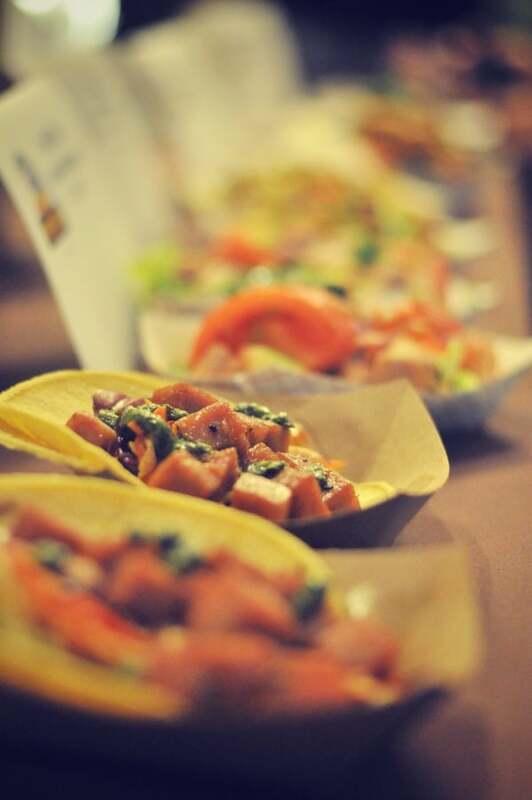 On the day of the event, I was invited to attend a media preview where I could see and sample the SPAM creations that would be available at the event. Over on my Facebook Page videos, you can see all the dishes that were available to try. Tables stretched across filled with everything from stir-fry to burgers. One of my favorite interpretations of SPAM were this Fritters. I could totally see this popping up in Minnesota at the Fair for a food on a stick. On the outside were crunchy noodles served with fresh Hawaiian pineapple that paired really well with the SPAM. 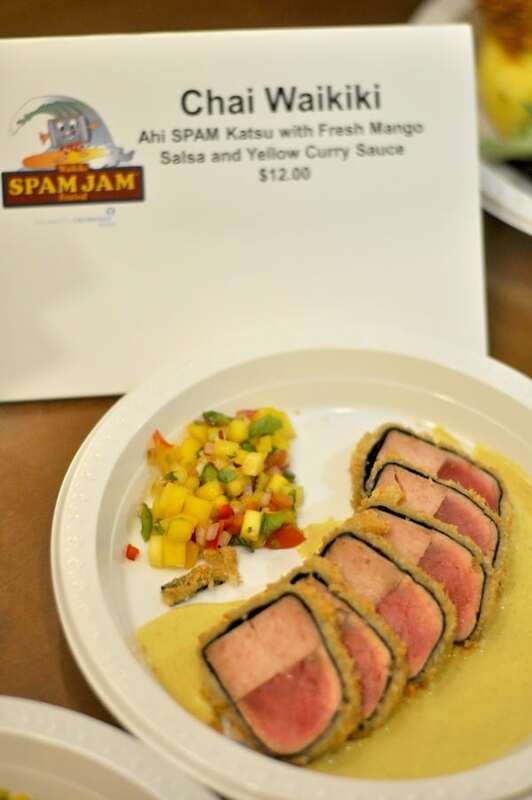 By the same chef, and my favorite dish of the event was this Ahi Tuna and SPAM dish served with a curry sauce and mango salsa. I may have had multiple portions of this. The Waikiki SPAM JAM also had great musical performances and I loved being able to take in some of Hawaii’s great musicians during the event. Here’s a video of one of my favorite performances by Raiatea Helm. After the Waikiki SPAM JAM, we took full advantage of the Outrigger’s concierge and book a tour of the North Shore of the island. 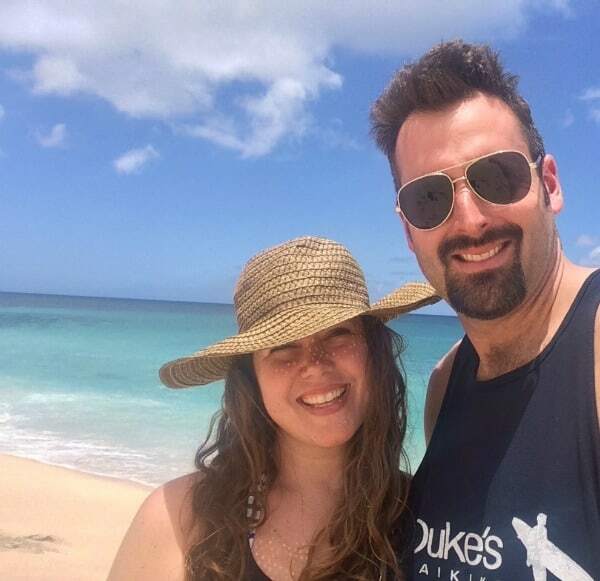 No planning required, Heather at the Outrigger took care of everything and we just grabbed our beach bag and the tour took us everywhere from beaches, waterfalls to food trucks. It was a short trip but packed with huge experiences that will last a very long time in my heart. I’m thankful for this opportunity and thank you for reading. 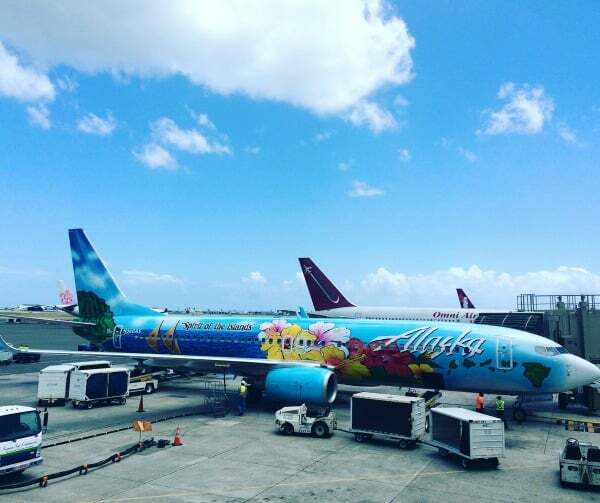 And a big thank you to Alaska Airlines who flew me safely and comfortably to Hawaii and then back home to my babies in Minnesota. Your bags are packed and you are ready to go to the Waikiki SPAM JAM next year, right? Every year there is an annual SPAM recipe contest and it takes place at the Minnesota State Fair and 25 other fairs across the country. If you are in Minnesota, you can enter your recipe for consideration by following these directions on the Minnesota State Fair web page, registration is now open until August 9, 2016 and this year’s theme is Sweet and Savory! Dice bacon into ½-inch pieces. Cook over low heat until crispy; drain on paper towels and set aside. Sauté onion in skillet with 2-3 tablespoons of the bacon drippings. Cook over medium low heat until softened, about 5 minutes. Sprinkle onion with 1 tablespoon of the flour. Cook and stir for 2 minutes. Add vinegar and sugar; stirring until the sugar dissolves. Season as desired with salt and pepper. Add cabbage and stir until it slightly wilts, about 1 minute. Add reserved bacon. Remove from heat and set aside. Preheat oven to 300°F. Cut pretzel rolls in half. Lightly brush rolls with a small amount of oil and place face-side down on a baking sheet. 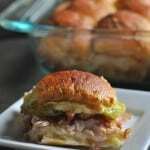 Lightly toast rolls in the oven for about 5-10 minutes; set aside. Place remaining oil in large nonstick skillet (enough to cover the bottom of the pan) and heat over medium heat. Slice each can of SPAM® with Bacon into 6 lengthwise slices (for a total of 12 slices). Place flour, eggs and panko crumbs into three separate pans. Dip each slice of SPAM® with Bacon into flour, following by egg and then into the panko crumbs. Sauté the SPAM® with Bacon slices until golden brown on both sides. Place SPAM® with Bacon in warm oven and hold until all slices have been browned. For assembly, spread the bottom half of each toasted pretzel bun with mustard. Top with SPAM® with Bacon and the cabbage slaw. Top with roll tops and serve immediately. Makes 12 sandwiches. 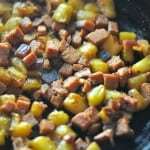 SPAM and Tater Tot Egg Bake available only in my Freezer Meals for Moms ebook! Disclosure: I received a compensated trip to the Waikiki SPAM JAM® from the Blue Ribbon Group and event sponsors including flight accommodations from Alaska Airlines and lodging from the Outrigger Waikiki Beach Resort. 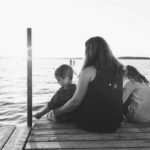 Thank you for supporting the organizations, companies, people and events that I choose to work with, sponsored content grows my blog and supports my family. As always, the content and opinions are my own. 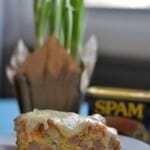 This entry was posted in Comfort Foods and tagged Hawaii, SPAM, SPAM Jam, Sponsored, travel by Alice Seuffert. Bookmark the permalink.